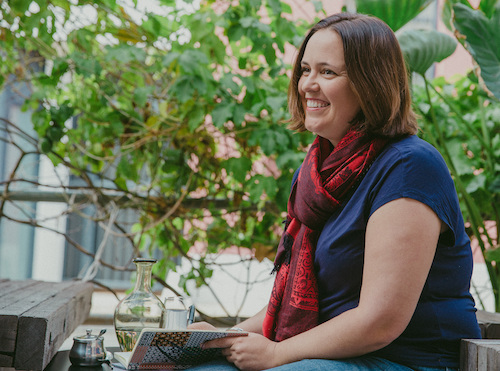 If you’re in or near Perth, Western Australia, then you can come along to one of my workshops or public talks and learn all kinds of fun facts and strategies about topics like blogging, social media platforms, podcasting, productivity and more. All the current workshops and talks are listed below. If you’d like me to give a talk for your organisation, you can see more on my speaking page. Instagram is the current social media darling and with good reason: it’s fun, beautiful, interactive and engaging. But how can you use it to get people to buy your product, or sign up for your services, or click through to your website? This workshop will look at how Instagram has changed over time, the best way to use it today and how to develop an Instagram strategy that works. We’ll cover choosing the right images to use, what kind of hashtag strategy will be most effective, how to get more followers, and how to persuade people to take action. We’ll also have some fun with some hands-on Instagram action. 6pm in the Woodvale Library within the City of Joondalup – and like it says, it’s all about podcasts! In a world where smartphones and tablets offer so many life-changing possibilities, this presentation will highlight ten apps that could be either insanely useful or incredibly fun! Amanda will demonstrate how to use a podcast app to reveal the exciting world of podcasts, as well as apps for exploring social media, planning your travels, learning languages and much more. 1.30pm – Bullet Journalling is an ever-growing trend and it can help you be super-productive! It’s like a combination between a to-do list, a planner, and a diary, and is a system that uses a method of symbols and logs to help you both keep on track with everything you want to do in life, and create a record of what you’ve achieved – or even the books you’ve read and the fun you’ve had! I’ll show you exactly what bullet journalling is, how to set up your own, and describe how my experience with bullet journalling has altered how I get things done. At 10am in the Whitford Library, you’ll learn how to keep a blog for your family, friends or the world to see while you travel.